Our waterproof on the go Play N' Snack tray provides a sturdy surface for travel treats and toys. 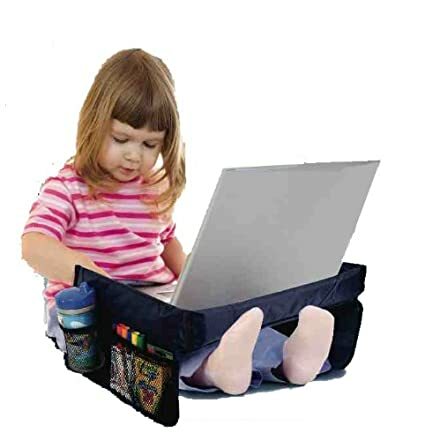 Perfect for your on-the-go family, this tray is designed to meet the needs of today's travel-friendly children. Soft foamy tray keeps children from hurting themselves on sharp hard corners. Perfect for drinks and snacks because it's waterproof. 3 1/4" high sides keeps things from falling out. The Snack N' Play tray keeps snacks and toys within easy reach so youngsters don't have to pass the time on long car trips by trying to break the windows with their voice. Raised sides help keep items from spilling off the tray's top, and mesh side pockets hold spare snacks, action figures, or crayons. 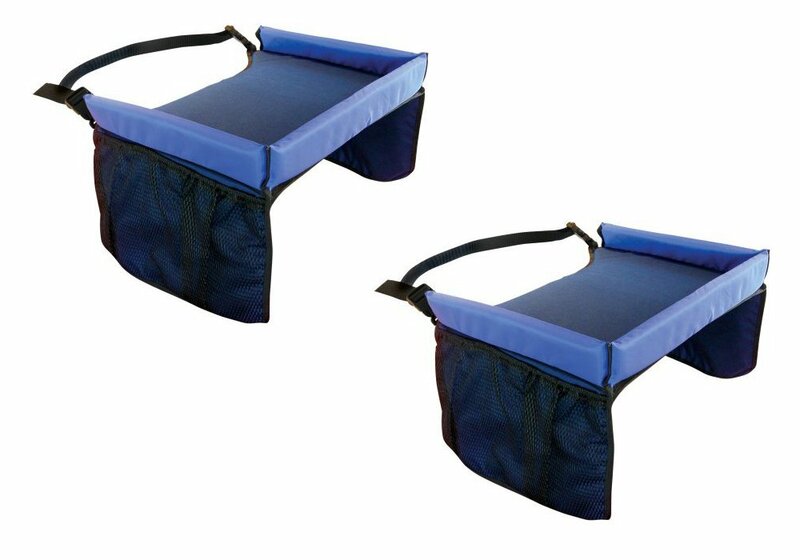 The tray is made of kid-friendly waterproof foam to provide comfort during bumpy car rides.